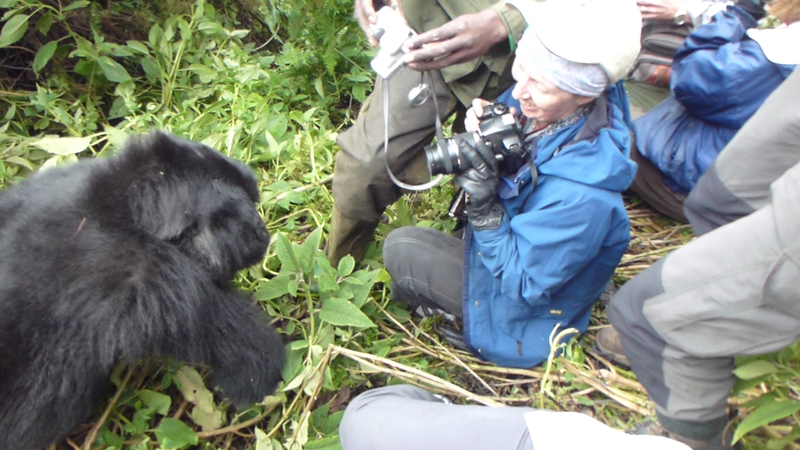 “G” day, gorilla day: experiencing a silver back gorilla up close and personal – that was the one thing that brought most of us to Rwanda. It was an early start from the Central Pastoral Notre Dame De Fatima Lodgings we were staying in. 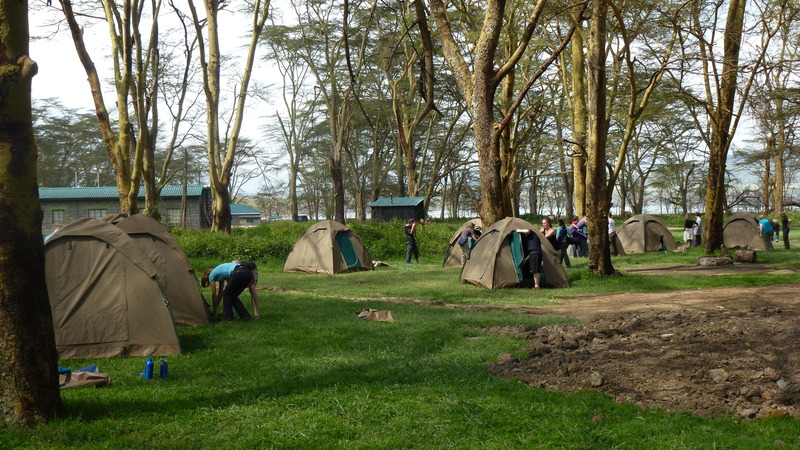 We didn’t put up tents here; there were dorms with triple decker bunks but some of us upgraded to a room. The promise of hot and cold running water was too much for me so I opted for a room. My room was on the third floor, and you guessed it, the water failed to get to the lofty heights. I was brought a 20 litre plastic container of cold water and told everything would be OK in the morning. You guessed it again, no such nicety happened so you make do with what you have and splash cold water around or pad down stairs to a communal bathroom where copious quantities of hot water flowed freely. After an early breakfast we piled into Landrovers or Landcruisers for the around 40 minute drive to the park headquarters. Here we were placed into groups of six, sometimes with somebody from another tour group, sometimes not. 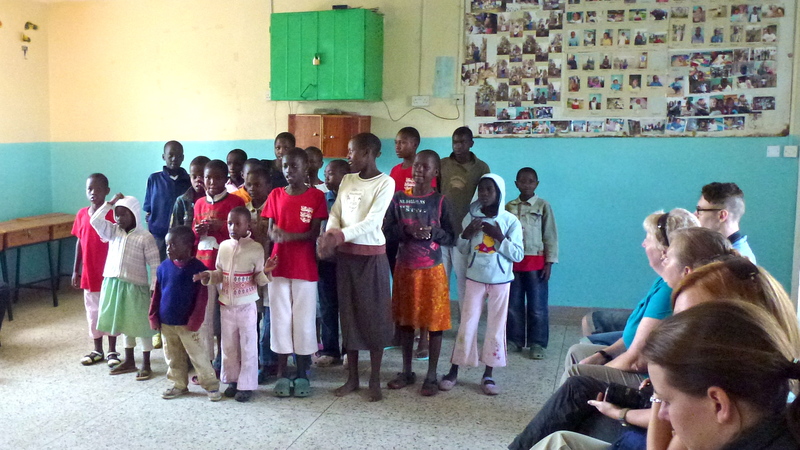 Whilst all this was going on we were entertained by a singing and dancing cultural group. 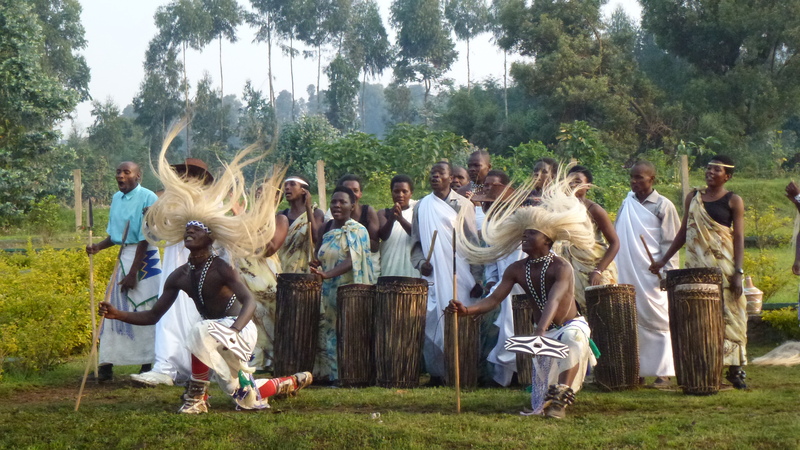 All very African and very energetic with many drums and stamping feet beating out the rhythm. 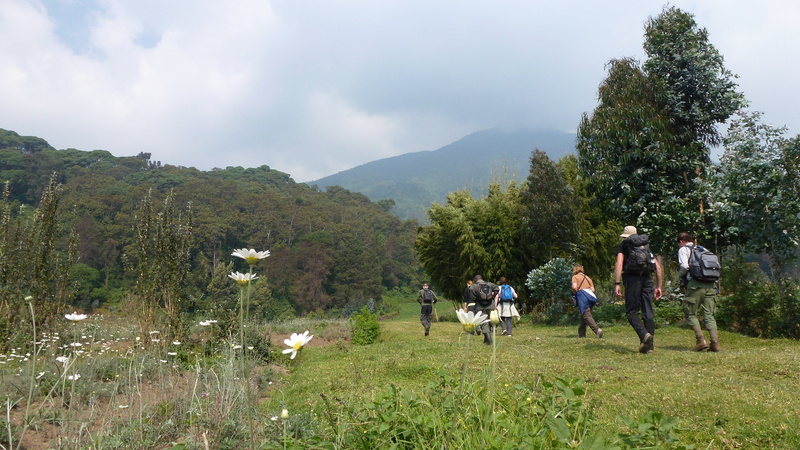 Apart from getting organised into our groups this gave the trackers time to locate the gorilla groups we were to visit. 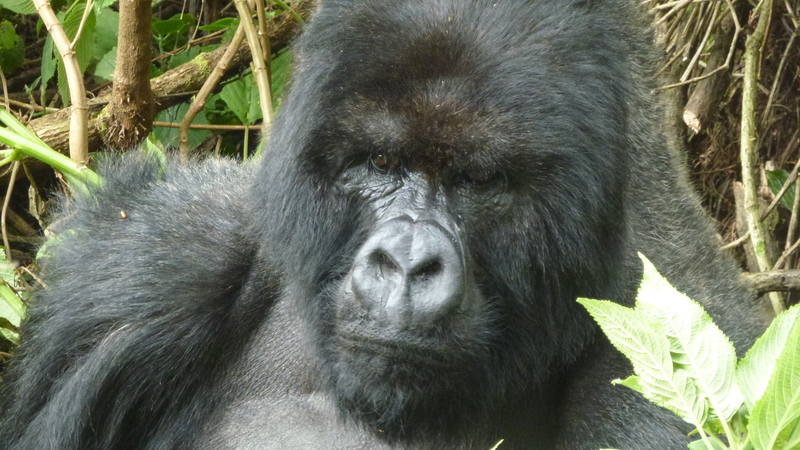 There are an estimated 480 mountain gorillas in Rwanda with some 300 in Uganda. 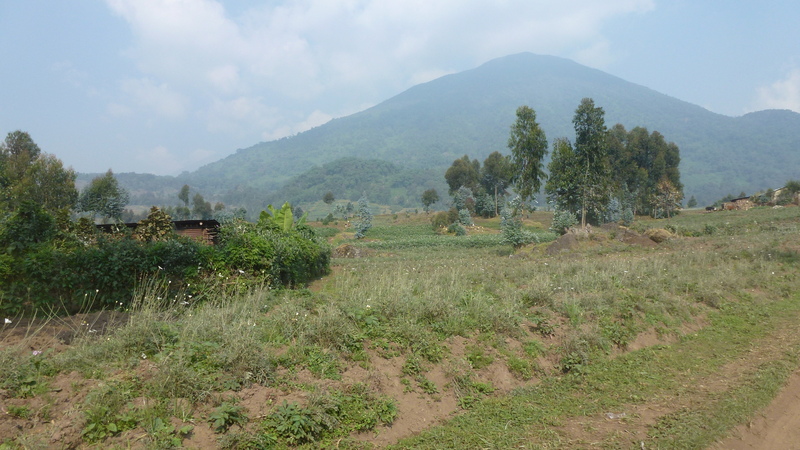 In Rwanda there are 18 groups that have been habituated a process that takes about two years. 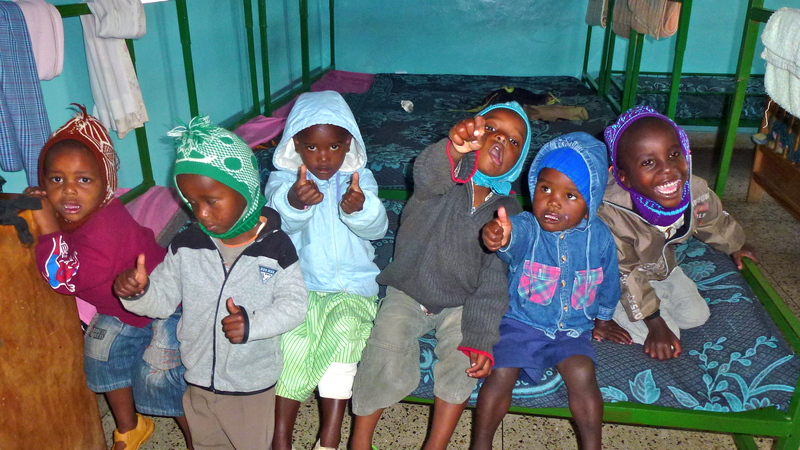 Ten of these groups are visited each day by just one group. 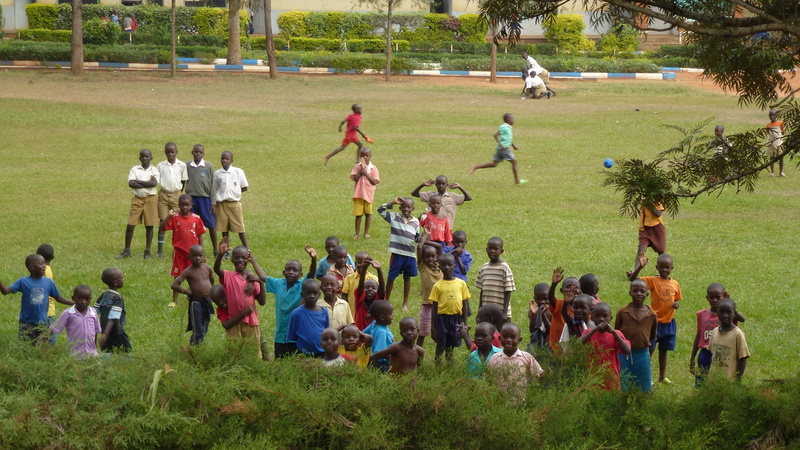 A maximum of one hour is spent in contact with the groups. The remaining groups are solely visited for research purposes. 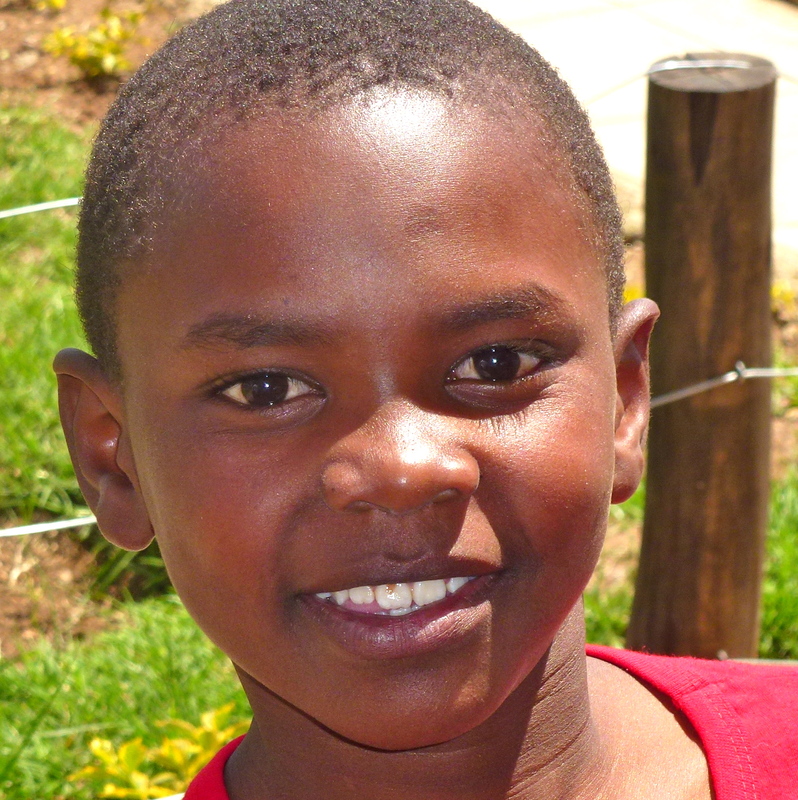 We were allotted the Ntambara group which has three silver backs as family members. The alpha male can be expected to live for between 40 and 45 years and is at present 27 years old. 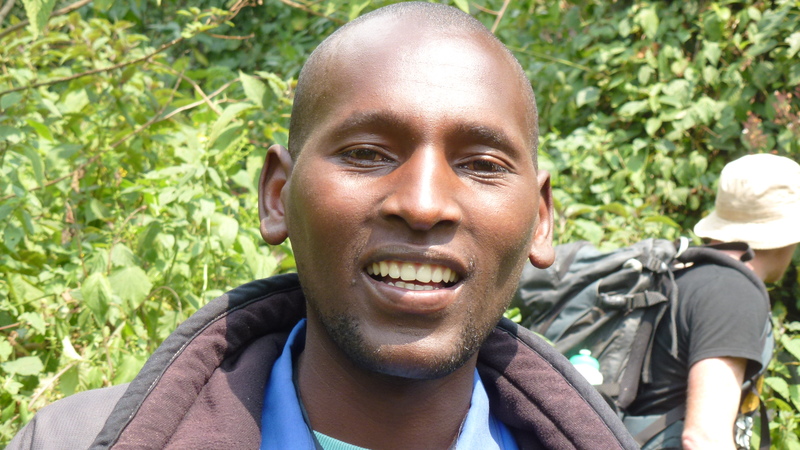 These males can be expected to eat 30kg of food each day and get most of their water from this foliage. 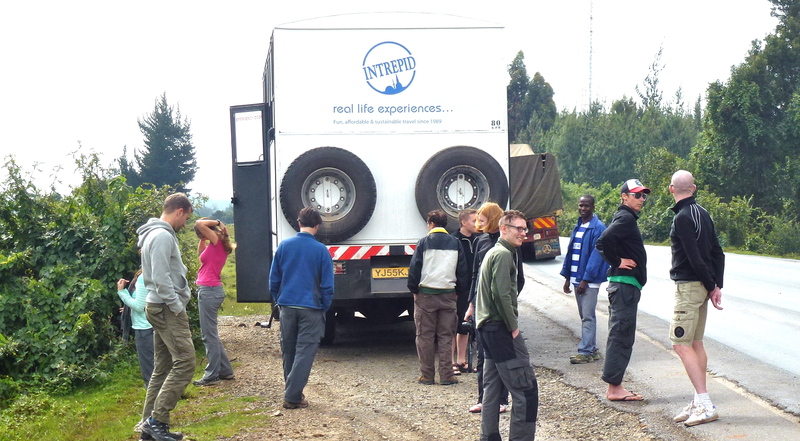 Once the group had been located we piled back into our vehicles for the drive to the road-head where we began our trek. 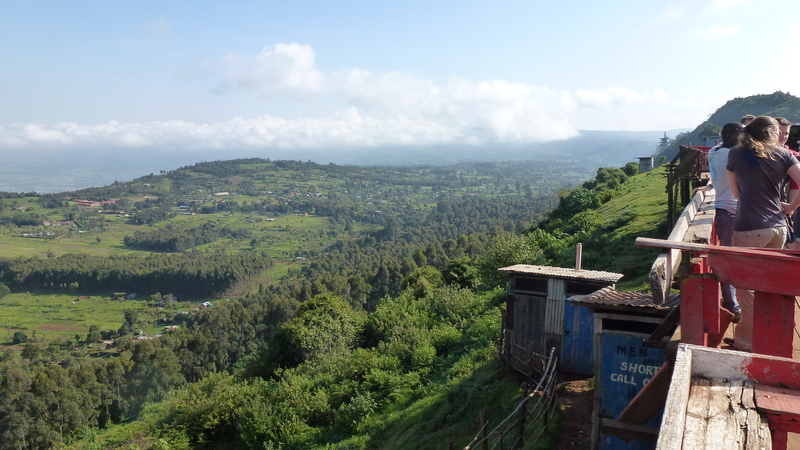 This was at an elevation of 2600 metres. 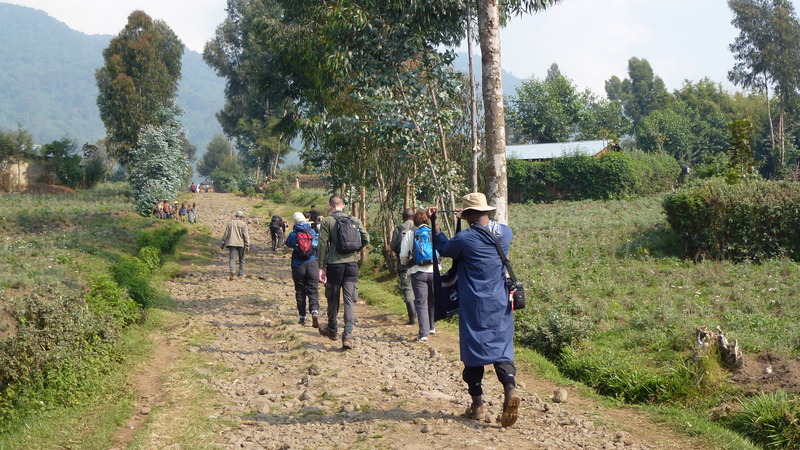 It was a bush bashing trek to get to the 3200 level to get to the spot where the gorillas were resting after their early morning feed. 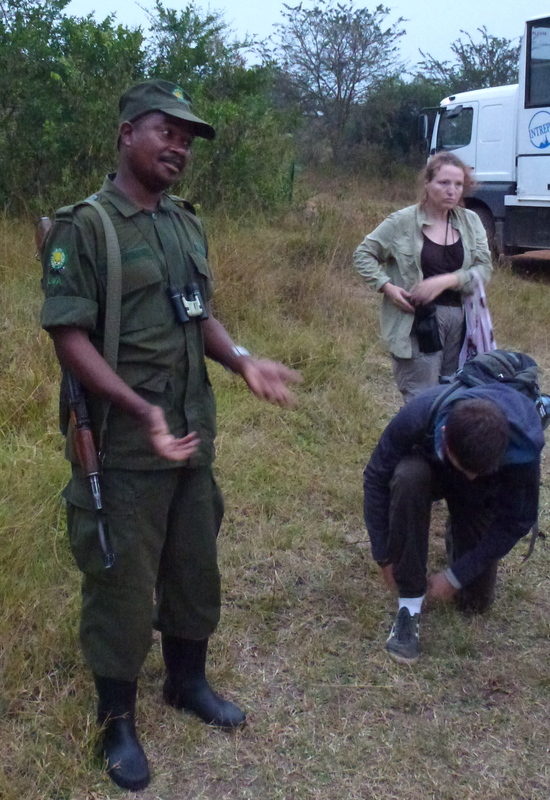 Eugene was our guide and we were accompanied by two rangers and an armed guard. They came along as there are buffalo in the area and they don’t want to be disturbed at all. The gun is not to harm or injure the beasts just to scare them away should we stumble across them. We didn’t see any. Our first contact was with a sleeping male who was a bit difficult to get to so we bypassed him and left him rest in peace. Within metres we came across the rest of the family group who were a little more active, but still resting. 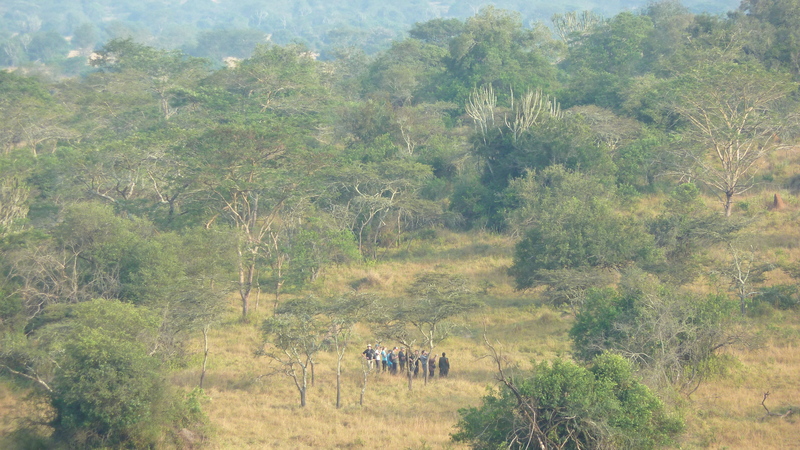 The rangers cut some brush away from around the animals to give us all a better view. One last cut was too much for our dozing mate who sprang up and charged towards the ranger grabbing him and appearing to bite his side. 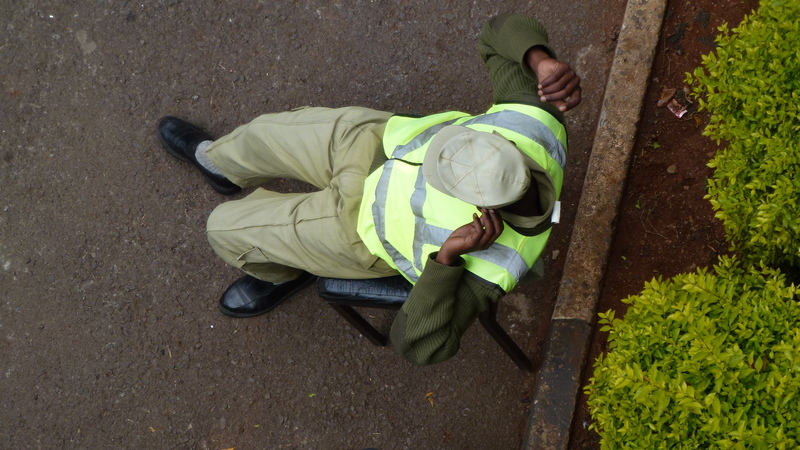 The rangers know what to do so he took a totally submissive posture, lying on the ground in the foetal position. The gorilla was happy, he was still boss so returned to his snoozing position. Now the excitement for me was that I didn’t expect this reaction – I guess the rangers have encounted this before. And, where did I happen to be, but standing right next to the ranger. This silver back was only a foot away from me, but took no notice of me, much to my relief. I wasn’t overly perturbed as the other rangers didn’t interfere and certainly the gun was not fired! That would have provoked a nasty situation. Once everything settled down the females and a baby went about their playing and resting. One of the females pounded her chest a number of times as she went from place to place. The ground shook when she performed. It was awe inspiring. Our hour with these magnificent animals was up all too quickly but we knew we had to leave them in peace and quiet to go about the daily business unbothered by us. 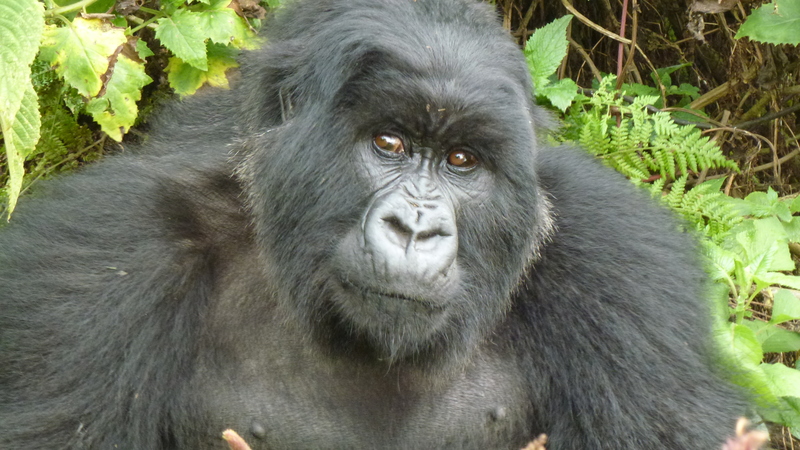 The gorillas will be visited by another group of tourists tomorrow – I hope they have a wonderful time – just like us. 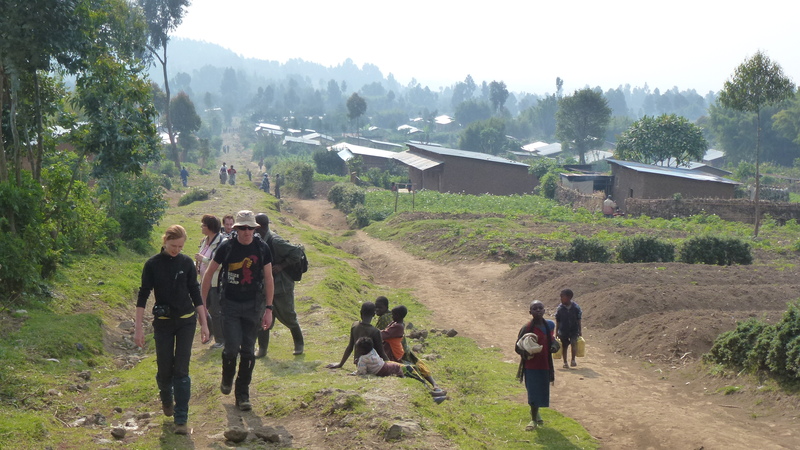 The trek back down the mountain was so much quicker than the hard slog up. 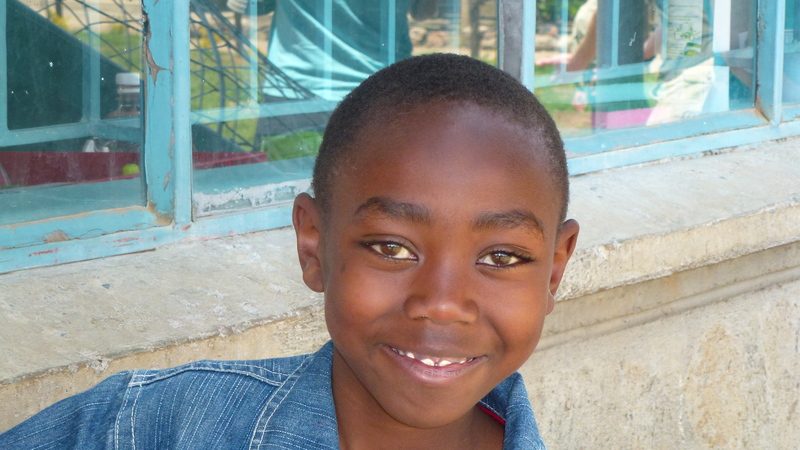 We wanted to meet up with the other groups and tell them our stories. 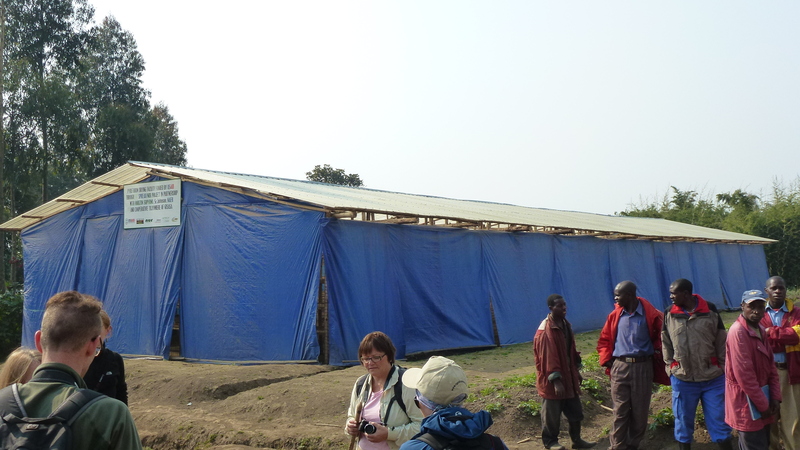 Of course, they had stories much like ours and we all agreed that it was worth the USD500 the permit had cost us. In fact, I reckon I’d happily pay twice as much, climb twice as high and expend twice or more effort for the experience! Words like, unique, surreal, emotional and spiritual were heard being bandied around. From our drop-off point we had walked through some fields which we hardly gave a glance at as we were all marching upwards to our goal for the day. On the way back down more time was allowed to survey the scenery. 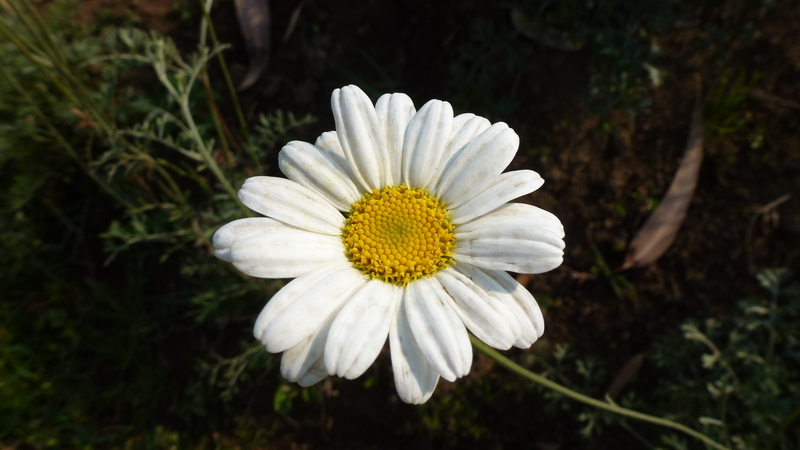 A white daisy was being cultivated and everything fell into place when we came across a long building with racks in it. 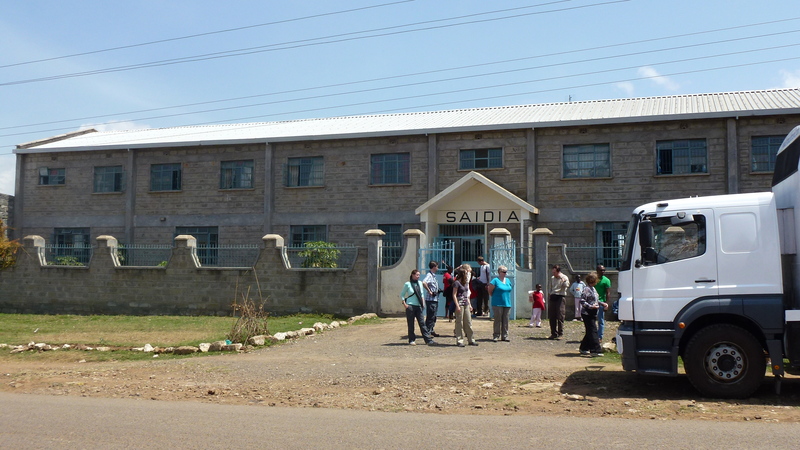 The sign on the building proclaimed it was a USAID initiative to grow pyrethrum daisies for the production of organic herbicides. The flowers were picked and dried on the racks before being sent away for further processing. 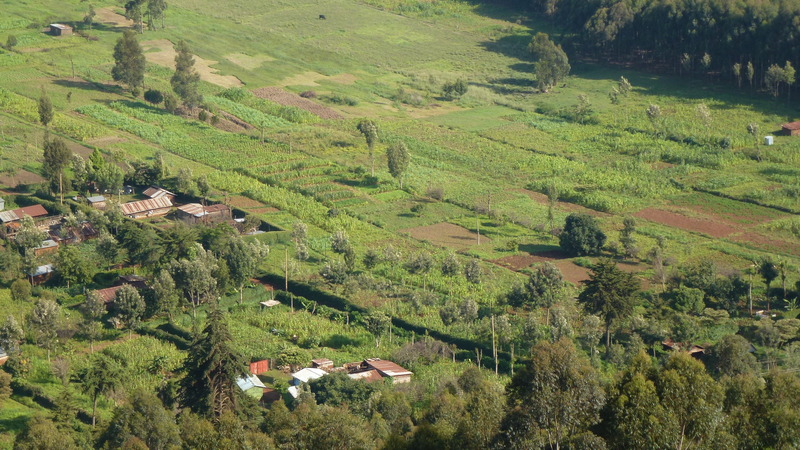 A nice little good news story – a project that actually gives the villagers another source of income to augment their normal subsistence farming. 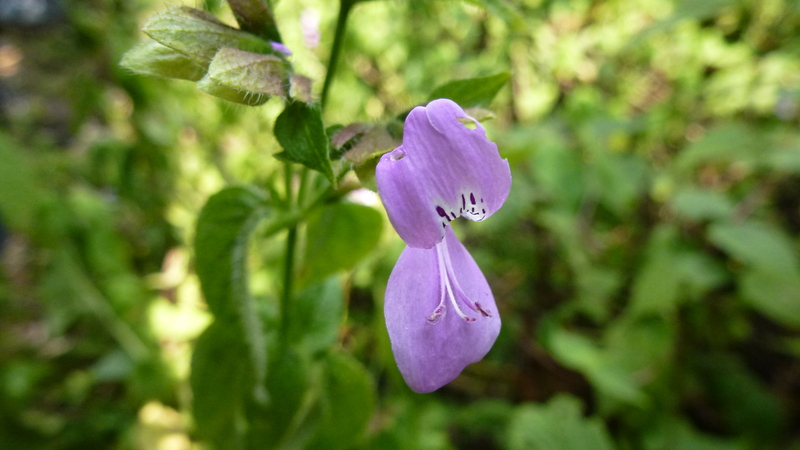 I did have time to find a couple more interesting plants and flowers while trekking. On the drive back to our accommodation we stopped off to collect a certificate to proclaim our achievement. And one that made all the rough dusty roads, cold showers (if there was water at all) and difficulty of the whole trip well worthwhile. 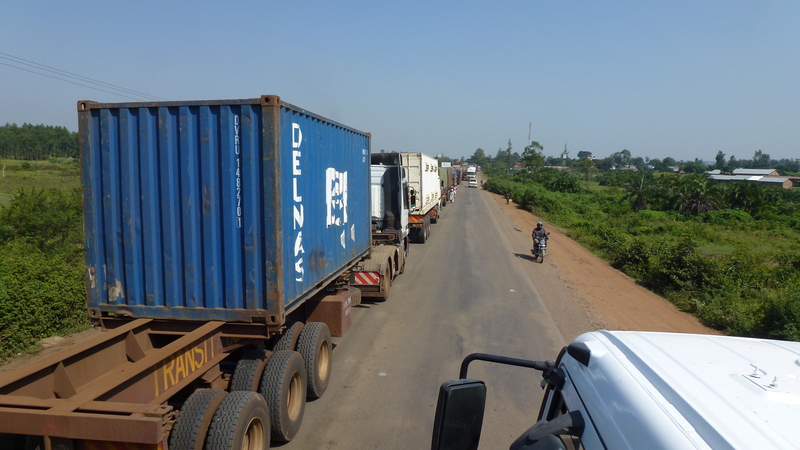 We got away to a fairly early start but got caught up in a traffic jam as were turned out of the camp site’s front gate. 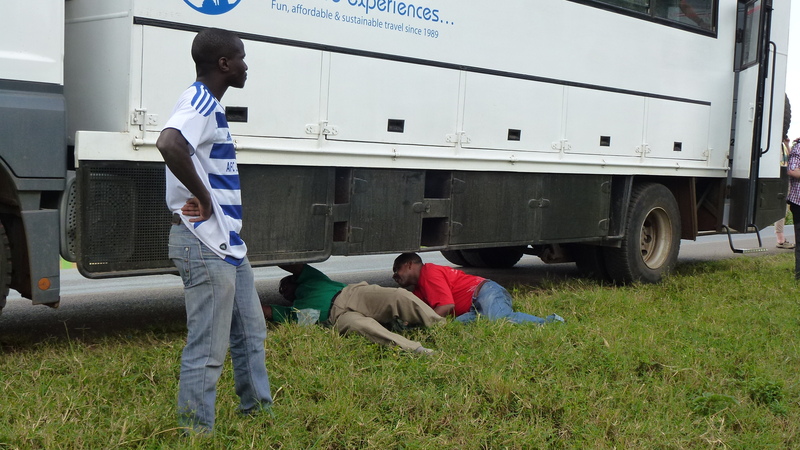 A truck had broken down somewhere in the vicinity and this had caused the problem. 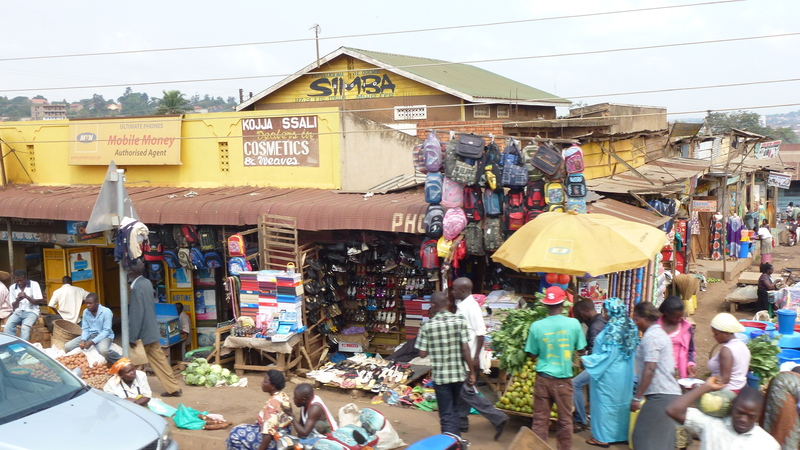 It took us an hour to travel only a few kilometres to a supermarket where the cook had to buy our provisions for the next few days. 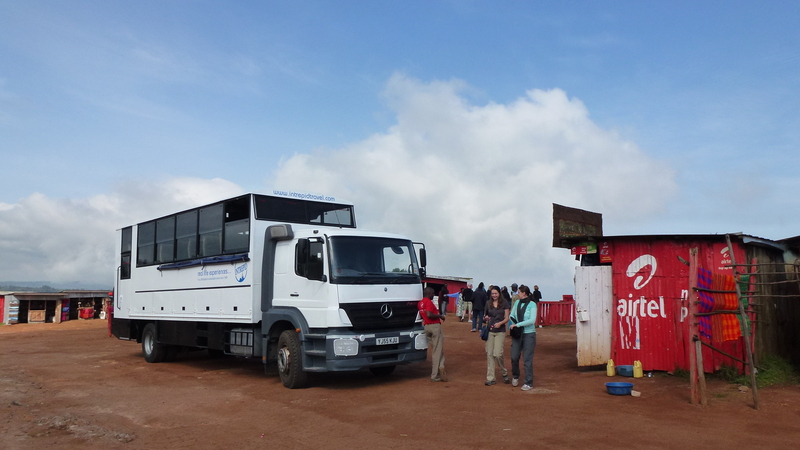 This stop also provided most of us with an opportunity to cash in our useful currencies for Kenyan shillings. There was also a good coffee shop in the complex that provided us with what was to be our last good coffee so far, not that we knew that at the time! It was interesting to note that there was little roadside rubbish, we even spotted a few street sweepers. 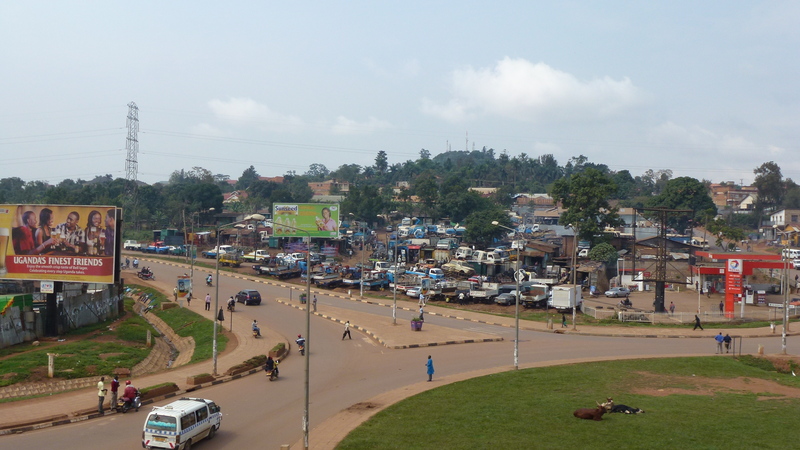 Kampala is generally a clean city. Contrary to common expectation, there were no rampaging wild animals through the campsite to cause havoc or mayhem during the night. We had all slept, after a fashion! It takes a while to get used to lying on the ground with only thin soft foam mattress. But that’s camping in the wild. We were all up early at 05.45, well before day break for a quick cup of tea or coffee, some cereal and a banana before heading off on our first game drive of the day. 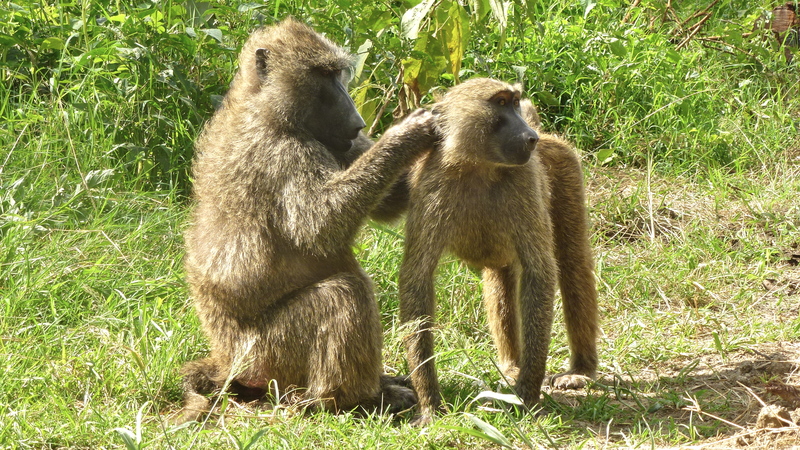 Not far from the campsite we came across a troupe of baboons waking to the new day – their hair a halo in the early morning light. They were on fallen tree branches just a couple of feet off the track. We spent some five or so minutes watching their antics before moving on. A very short distance further along the track we stopped quickly as a leopard crossed the track. There is no forward vision from the truck so nobody other than the two in the cabin saw the big cat. The driver did stop though. The monkeys in the surrounding trees were putting up a loud song and dance emitting their alarm calls. We waited. 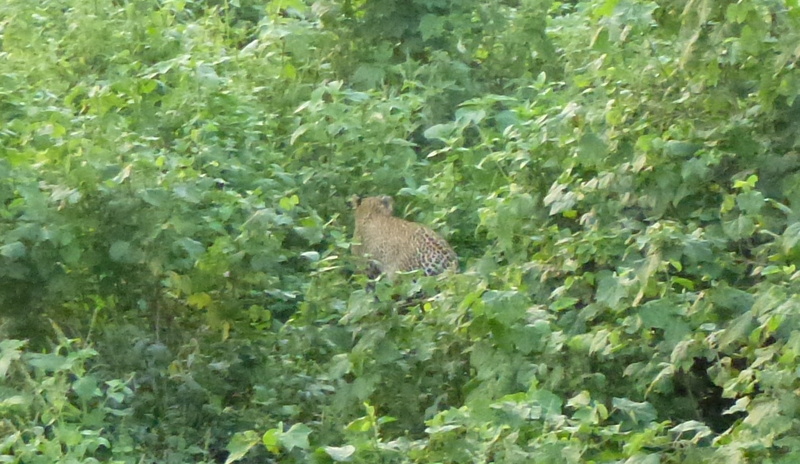 And, sure enough, we spotted some movement in the bushes and a fleeting glimpse of the cat. Then nothing for awhile, but then, a better look at the magnificent beast as it slowly walked away, this time completely disappearing into the undergrowth. 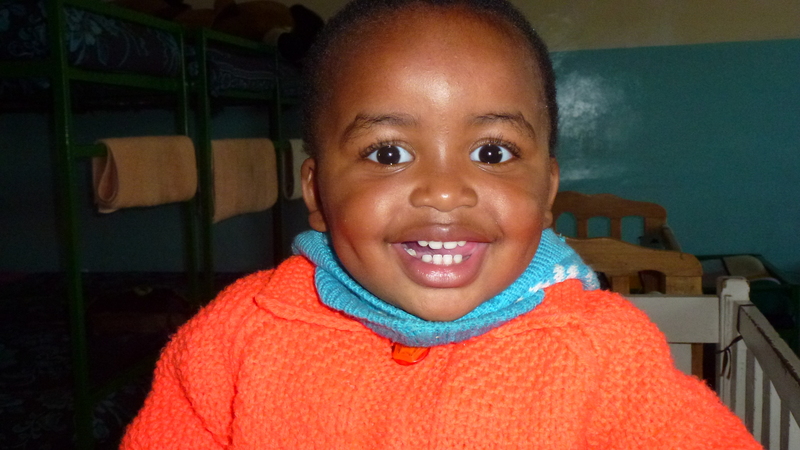 What a treat, particularly for those on board who were on their first trip to Africa. 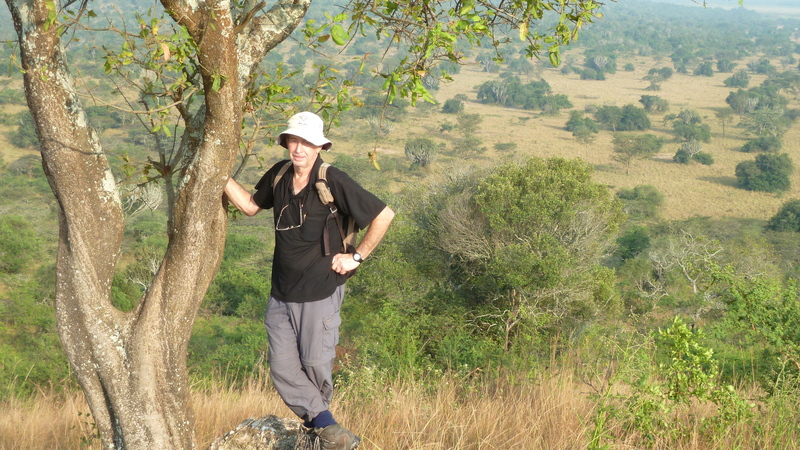 It took until my fourth trip to the continent to see a leopard and Ingwe said he would do 20-30 drives between spottings! 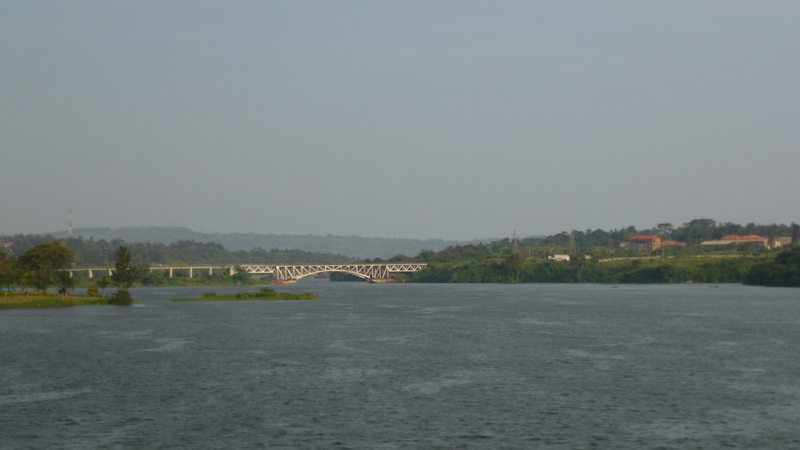 On our four hour circumnavigation of the lake we saw waterbuck, antelope, buffalo, giraffe, black and white rhino, jackal, hippo at a distance, and colobos monkeys, and they were a first for me. 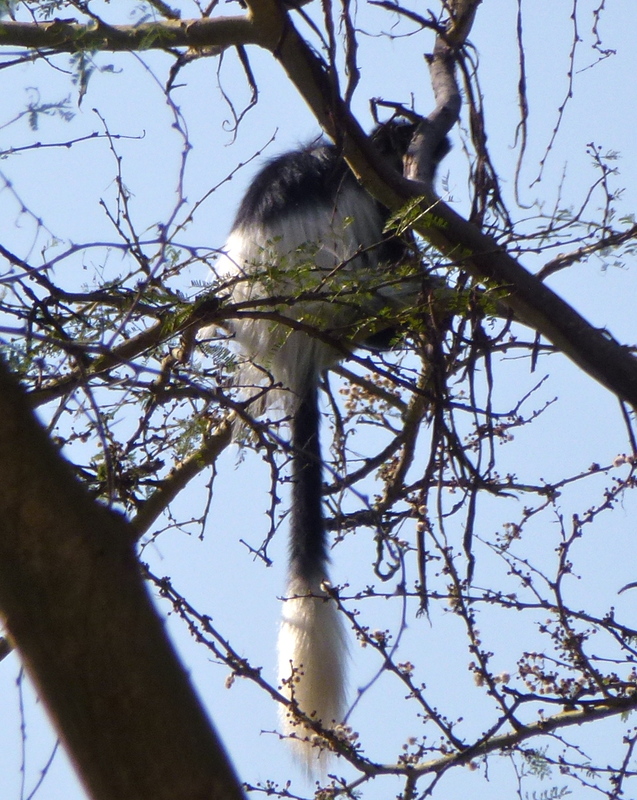 Colobus, with their distinct black and white colouring and long bushy tipped tail do stand out clearly in the trees …but only once they have moved so you can spot them. Those lovely long tails were almost their undoing. 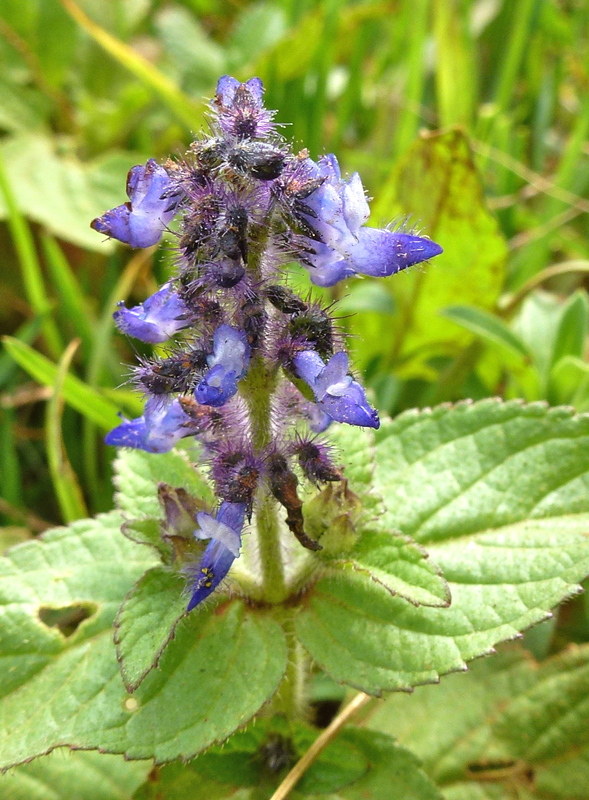 They were once highly prized by tribespeople as ‘fly whisks’! And their pelts were highly prized too as part of traditional costumes, as well as for rugs and mats. Buffalo are not animals to be messed about with! They weigh-in at anywhere between 500 and 800 kgs and are reputed to have a temper that should not be aroused. When males ‘face-off’ in the rutting season, they interlock those massive horns and push each other in a trial of strength to find out just who is boss. 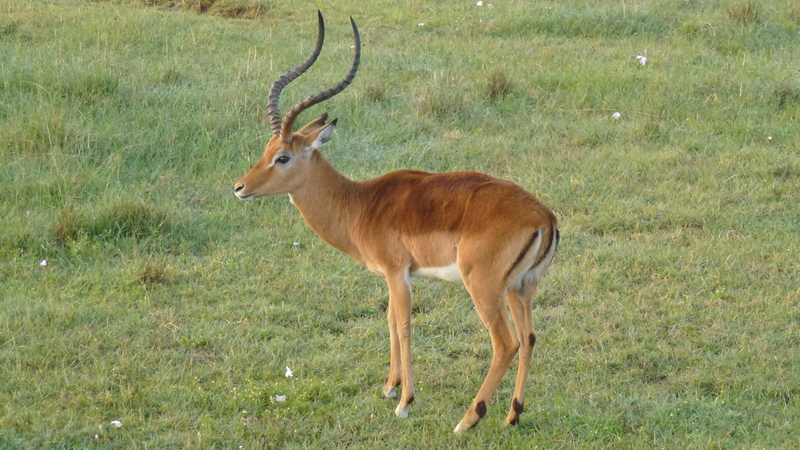 The record length for a set of horns is more than 1.5m. Buffalo graze in the early morning, in the late afternoon and at night, so these were more interested in food than us. After feeding, they love to wallow in mud and there’s plenty by the lake for that. In the heat of the day, they sensibly lie in long grass or under trees to chew their cud. 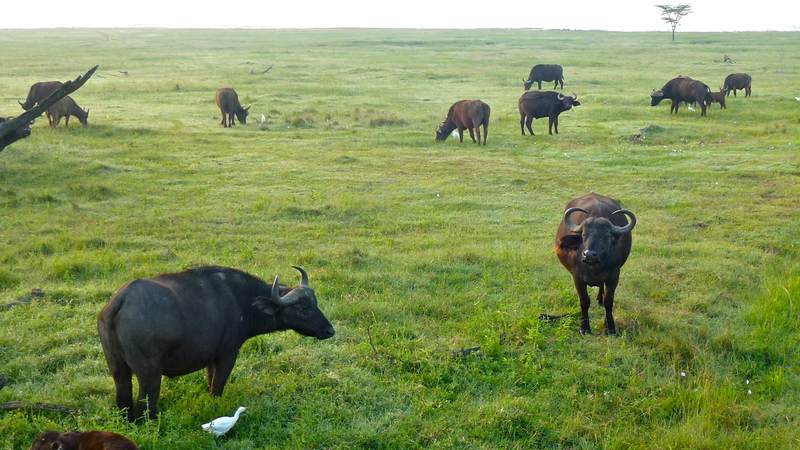 The white bird beside several of the cows are cattle egrets. 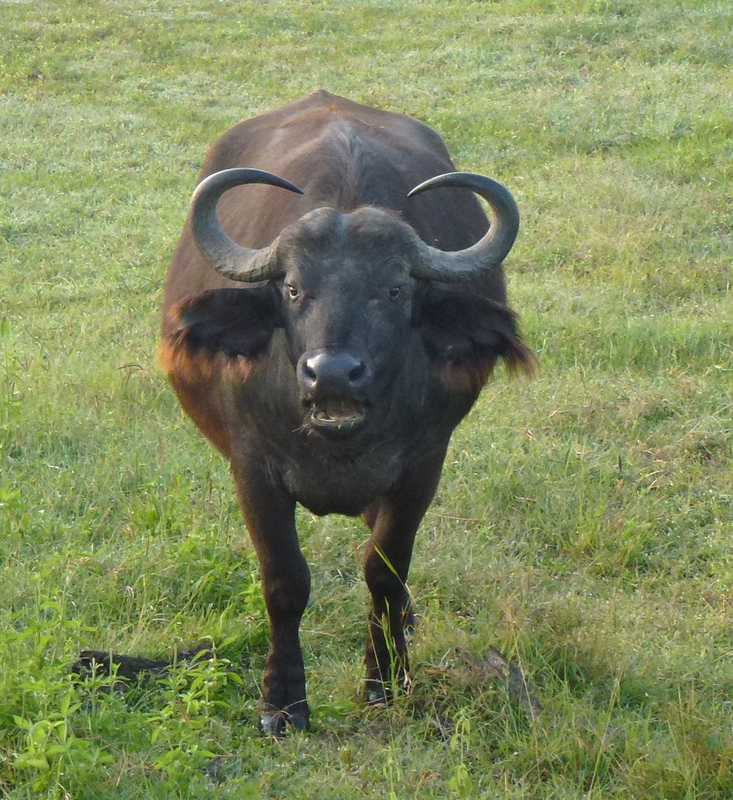 They get an easy feed by picking up insects disturbed by the movement of the buffaloes. Another bird that’s often seen travelling with buffalo is the oxpecker or tick bird. They feed on ticks and biting flies and help to clean up wounds. The buffalo put up with their presence even when these little birds try to get a feed inside the buffalo’s ear. 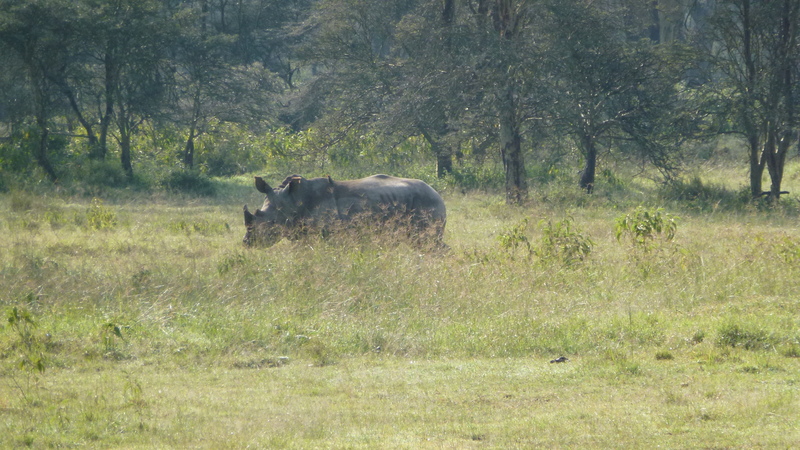 Another big animal grazing in the early morning was this rhinoceros. Both black and white (or wide) Rhinoceros are endangered because of the market for just one part of their body – their horns. 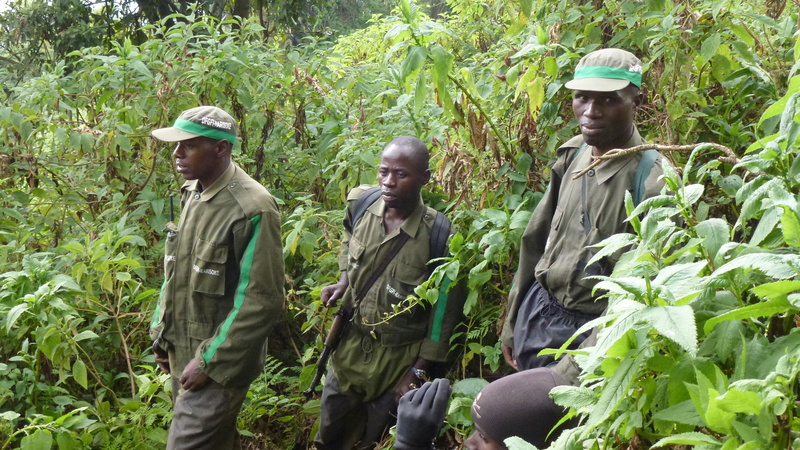 When poachers kill a rhino, they take the horns and run – or fly off in helicopters. It’s a lucrative business with rhino horn deemed to have almost supernatural powers in medicine in Asia and the far East – and horn being carved into the handles for daggers in places like Yemen where such daggers have been prized symbols of manhood. 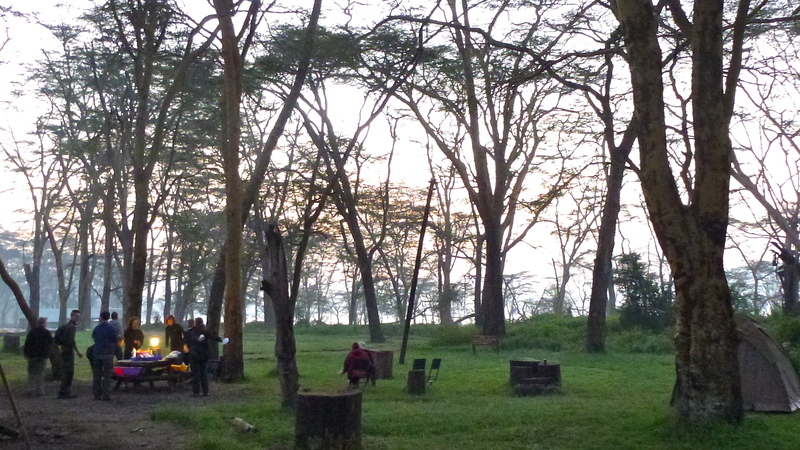 Armed guards monitor most of the rhinoceros ranges, at least in parks and reserves such as this one at Lake Nakuru. Giraffes are the tallest animals in the world today with males growing up to 5.5m (that’s 18ft) . That’s fairly common knowledge. But what is less widely known is that the giraffe’s improbably long neck has only seven neck vertebrae – the same as we humans have! And those necks can come in for a tough time when male giraffe’s try to establish dominance in the herd by ‘necking’ . Now, this is not to be confused with another human connotation of the word ‘necking’. This is a ritualised form of fighting in which the opposing giraffes fight standing side by side and swing their long necks at each other’s bodies, often entwining necks. That only happens when there’s a lady giraffe involved, of course. At other times that neck is used to reach up for the tenderest shoots and they can be 5 – 6 ms off the ground. 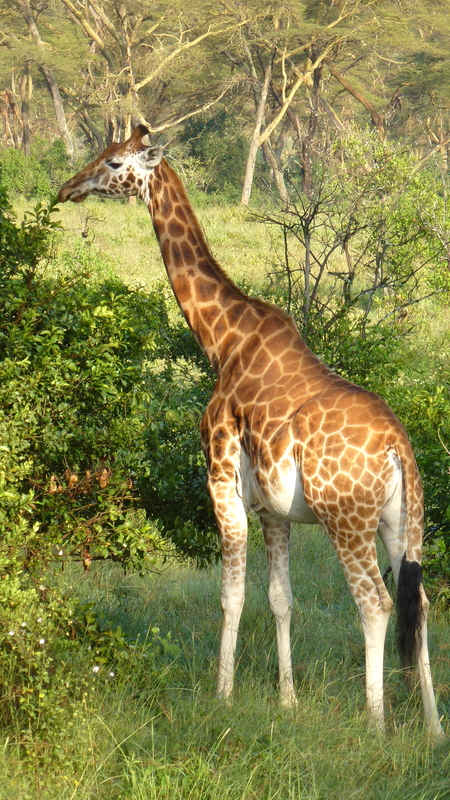 The giraffes we saw at Lake Nakuru were Rothschild’s Giraffes. They are paler, and have a less jagged pattern on their coats than the common Masai Giraffe and they usually have no patterning on their lower legs. 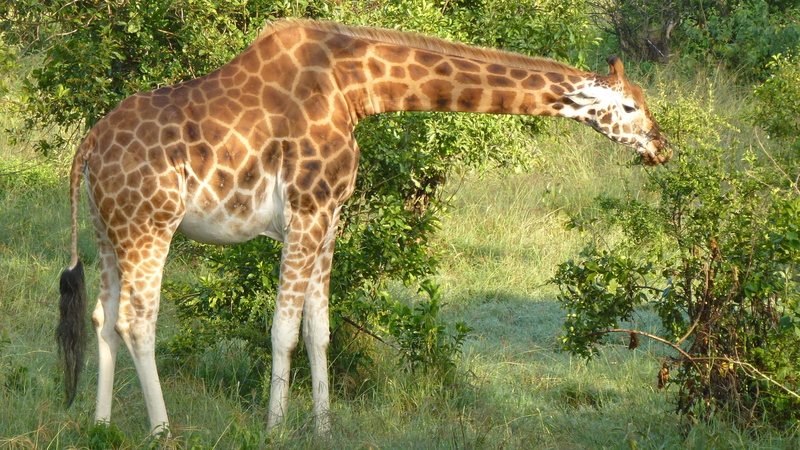 There is a third type of giraffe, the Reticulated Giraffe, that’s found in northern Kenya. 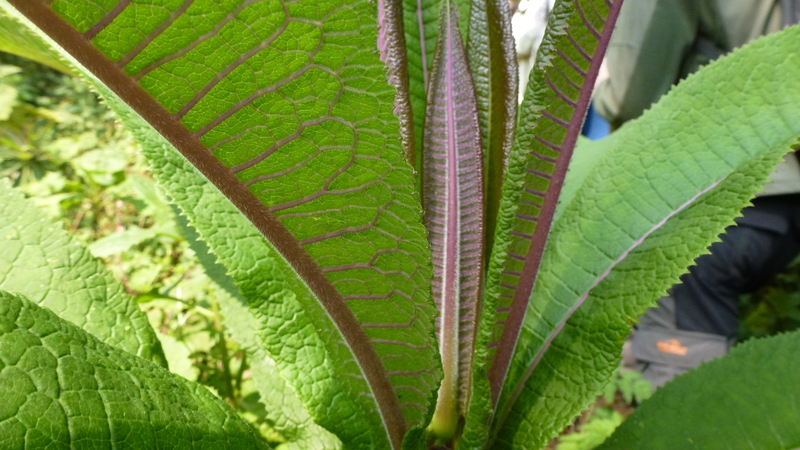 It has a deep reddish coat with irregular brick- like patterns seemingly ‘drawn’ onto them with narrow white lines. 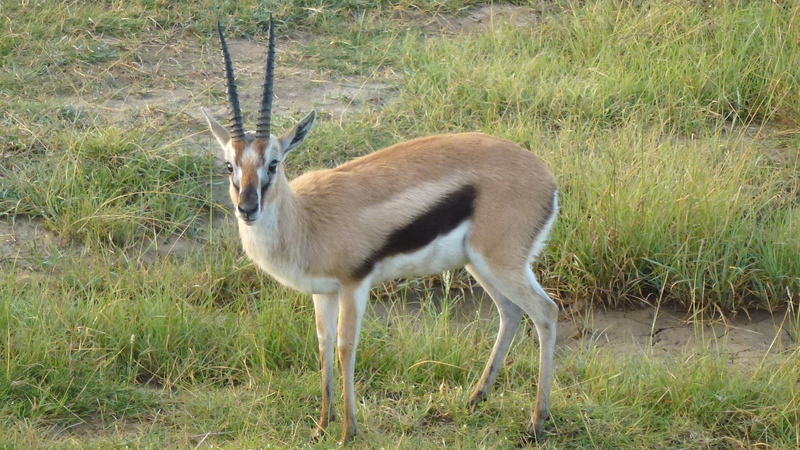 The beautiful Thomson’s Gazelle is the most water dependent of the African antelopes and so can usually be found in places like this by a lake or good water source. 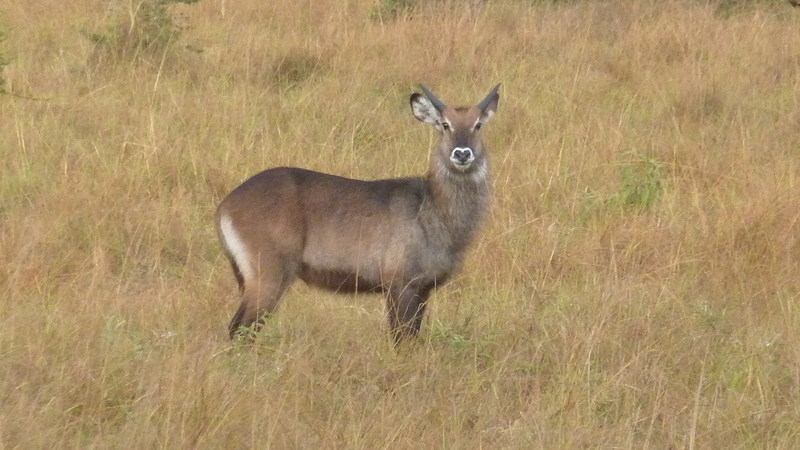 Antelopes like these are the easy, fast food option, the ‘Macdonalds’ of the wildlife world in Africa. They are the prey of a whole lot of predators including lions. leopards, cheetahs, hunting dogs, crocodiles. 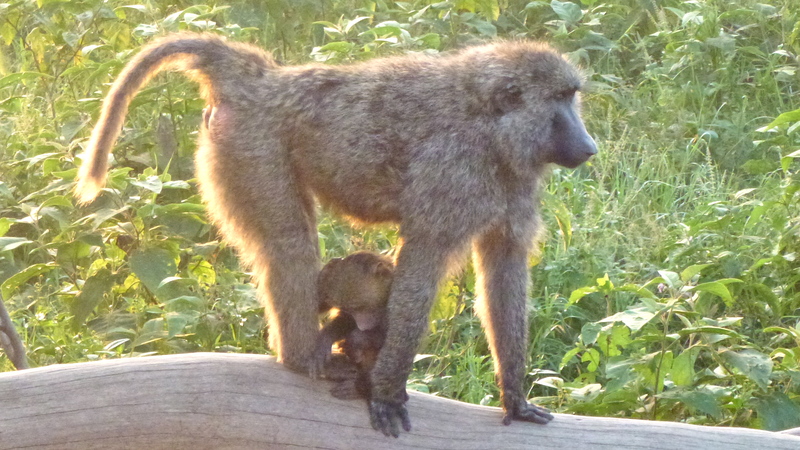 The young may be taken by baboons, jackals, eagles and even python snakes. It is a hard world out there in the wild. It’s not easy to think of beautiful animals like this Impala and the gentle gazelles as possible dinner for so many different types of predators. But it’s a fact of life in the wild. 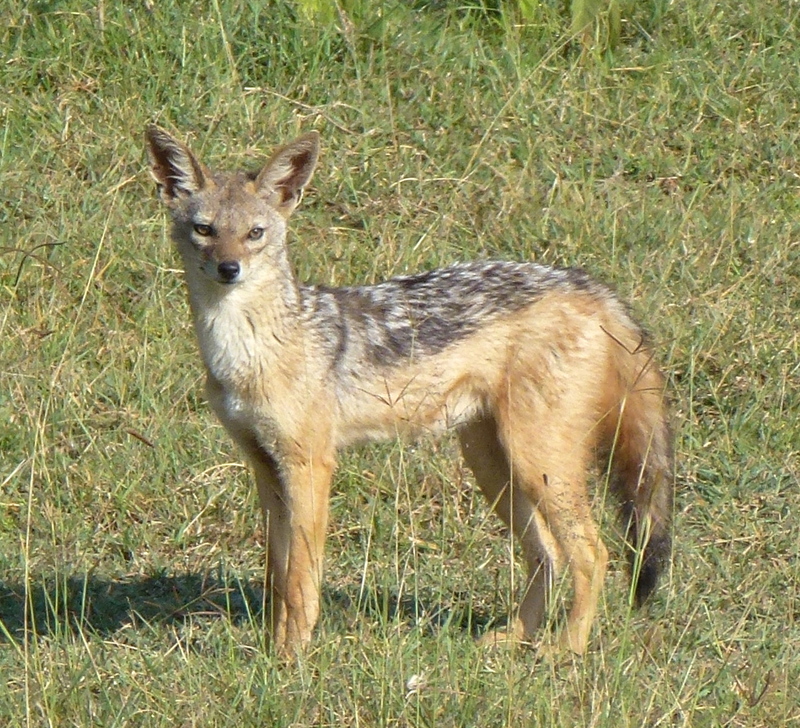 The black-backed Jackal, with its fox-like face and silvery black back, is the commonest of the three species of Jackal in East Africa. Although Jackal’s do kill smaller animals and the young of larger ones, they are very much opportunistic omnivores. Like hyenas, they are great carrion scavengers, but they also feed on birds, reptiles, insects, fruits, eggs and berries. 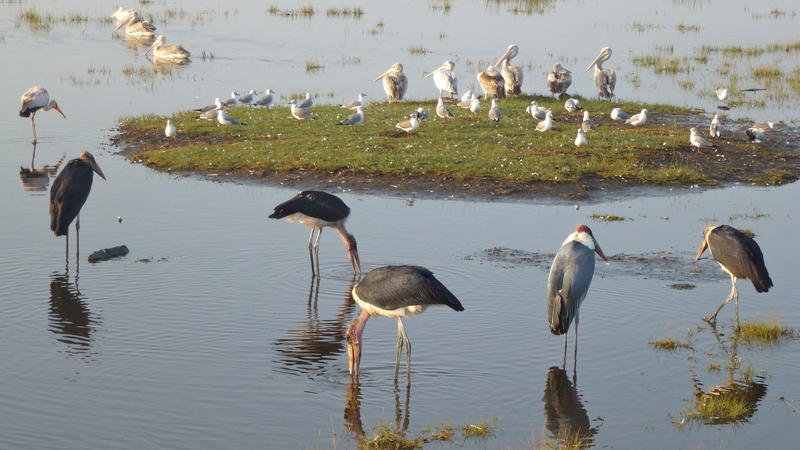 Apart from all of these animals, there were many birds sighted including pelican, marabou and yellow-billed storks, spoonbills, a buzzard, hamerkop and ostrich. It was a very satisfying drive. The name Hamerkop comes from an Africaans word meaning ‘hammer head’ – an apt description. 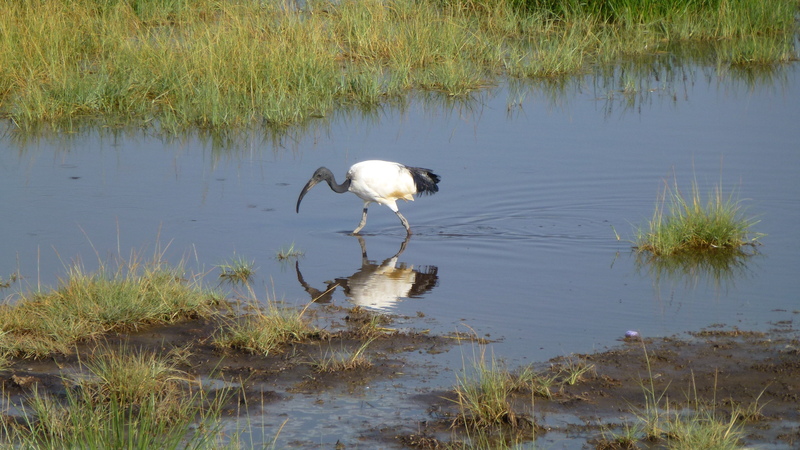 It looks a bit like a stork or a heron but it is not related to either of those. 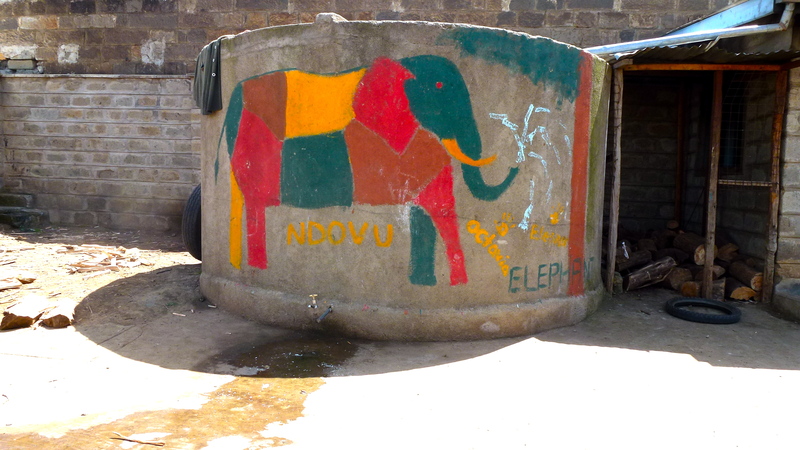 Many Africans are superstitious about this bird believing that, if harmed in any way, it will bring bad luck. And that’s probably been a bit of good luck for the Hamerkop. That way, it doesn’t end up on someone’s BBQ or in a hot pot! 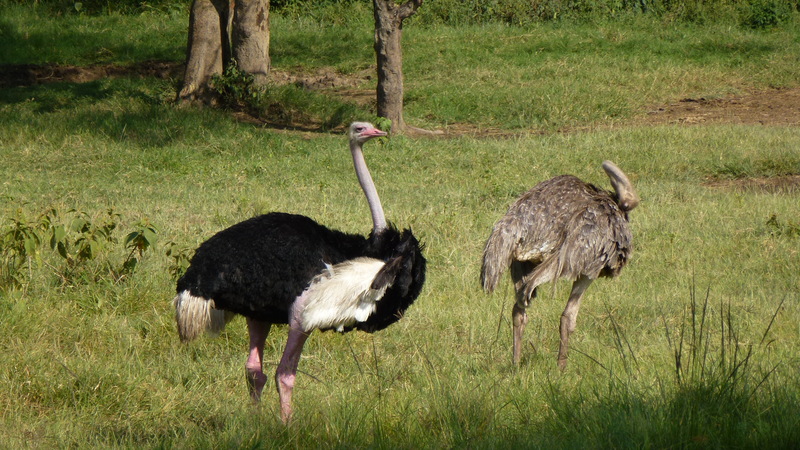 Ostrich, on the other hand, are farmed in Africa for their meat, their eggs and their feathers. 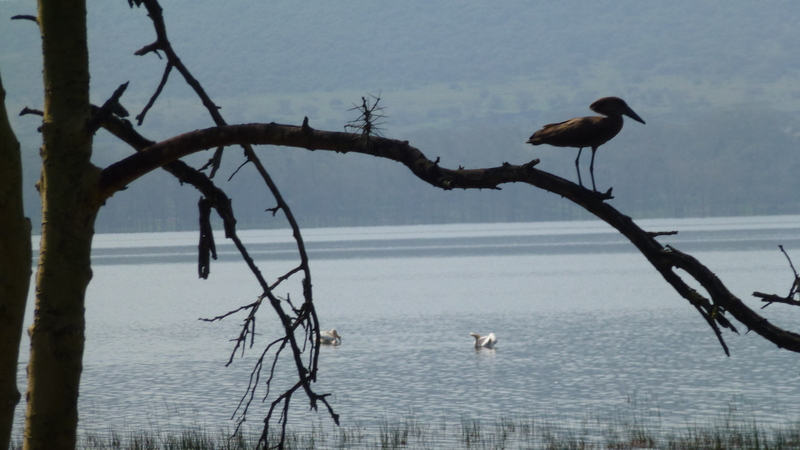 But these two birds are safe in the National Park at Lake Nakuru. The male is the one with black feathers. He usually sits on the eggs at night. The female has feathers more the colour of dried grass to act as camouflage when it’s her turn to sit on the eggs in the day time. Although more than one female is likely to mate with the male and lay eggs in HIS nest, the ‘senior’ female helps with the hatching process. 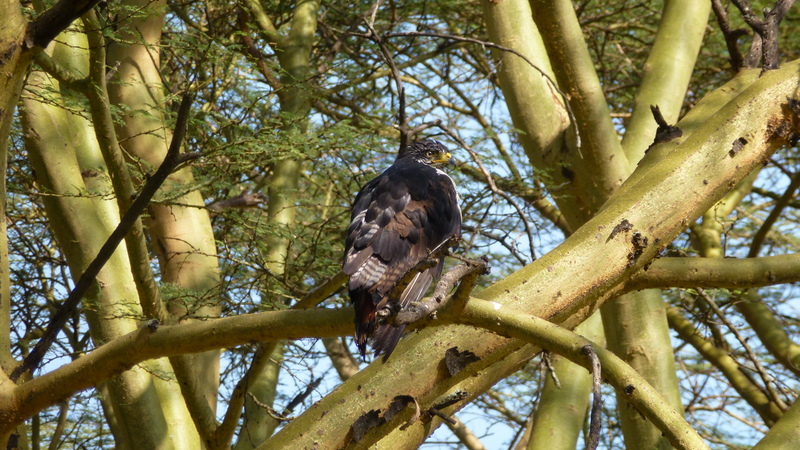 This magnificent eagle, resting in an African Acacia, may be a Steppe Eagle. The view across the grasslands to the cliffs beyond the lake. 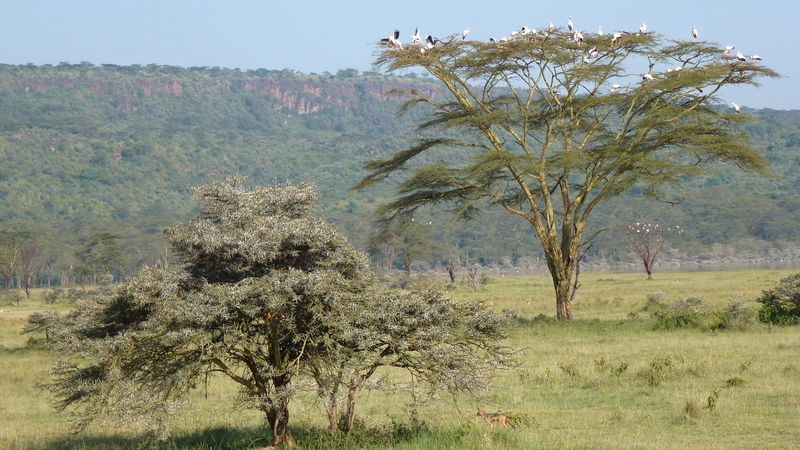 The photo includes a couple of African Acacias that seem to be ‘blooming’ with white birds. 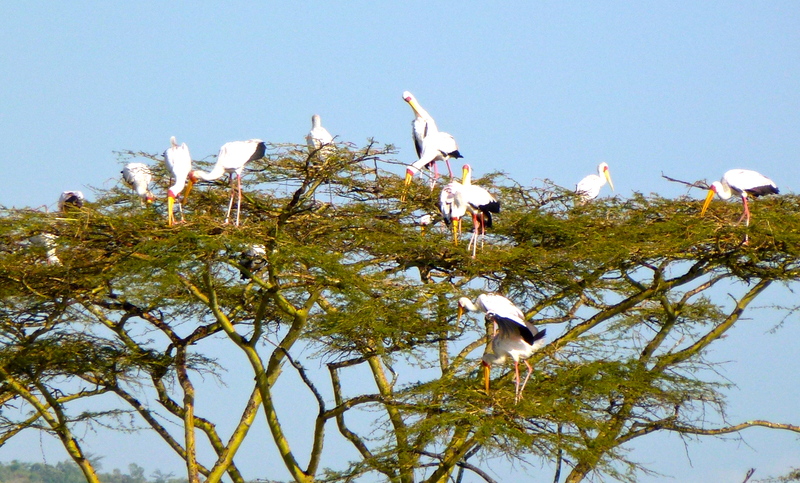 Thanks to my good Panasonic DMC-TZ 20 camera with its decent tele lens, I could see that the birds adorning the Acacia tree were the very gregarious, long legged, Yellow-billed Storks. 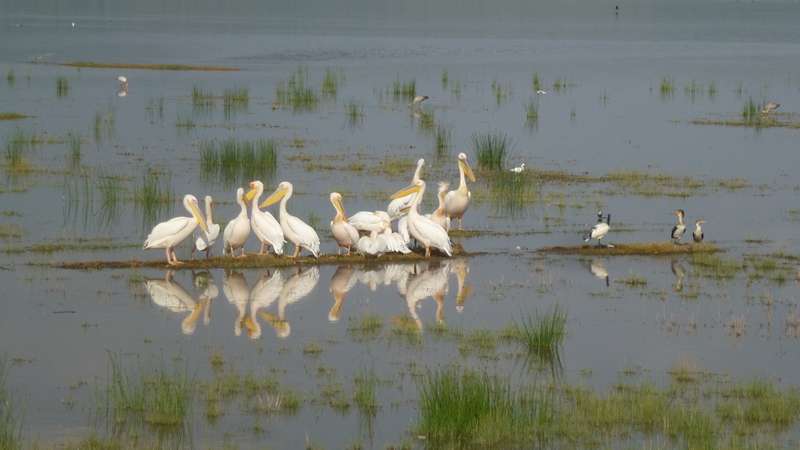 These birds are easy to identify with their white bodies finished off with black wings and tails and their bare red faces sporting long yellow bills. 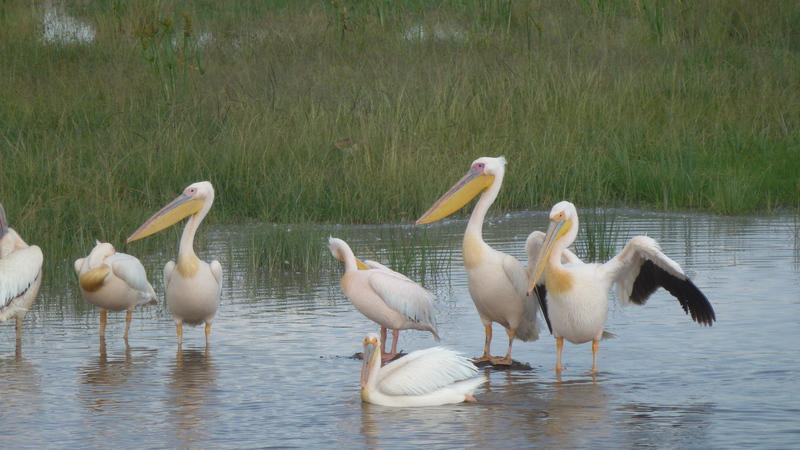 And down by the lake again there were yet more storks, the Marabou sharing the waters edge with some Pelicans and Gulls. These Marabou should put their name in the ring for the prize of ugliest bird. Vultures could give them a run for their money, but these birds push ‘ugly’ to the limit! Here’s a Marabou up close – with a face only a mother could love. And it doesn’t even have the rather grotesque pendulous throat sac sported by some adults! And another thing that is really quite off-putting about Marabous: that white colour on their legs is actually, dare I say it, ‘pooh’. 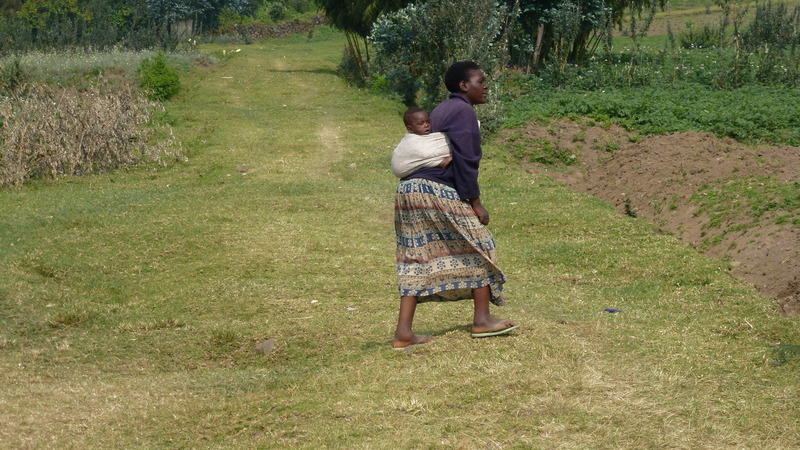 Yes, to help keep themselves cool when it is hot, they defecate down their legs. Cool, eh? 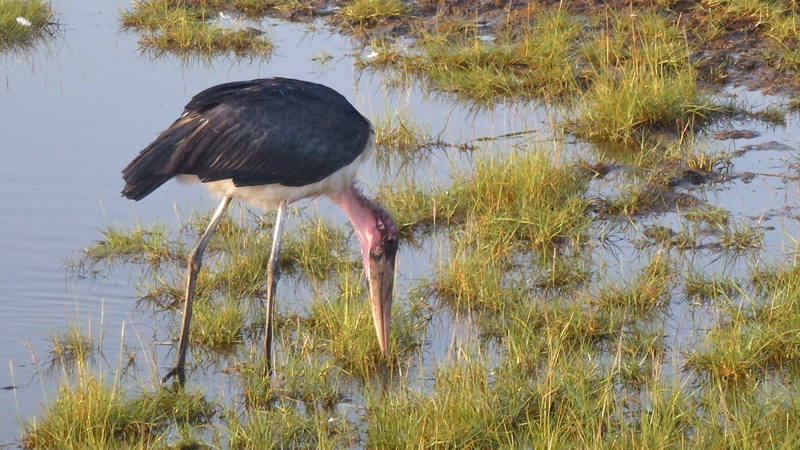 Marabou Storks might be ugly, but they do perform an important function in the wild by cleaning up carrion and waste in the environment. However, marabous have increasingly become dependent on human garbage and these huge birds can be found around African rubbish dumps. 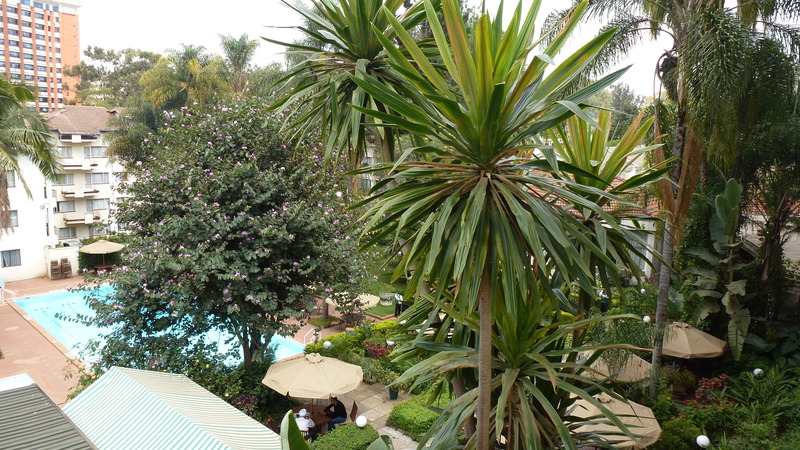 Now let us turn our minds from ugly storks to some of the finer things in life – flowering plants. 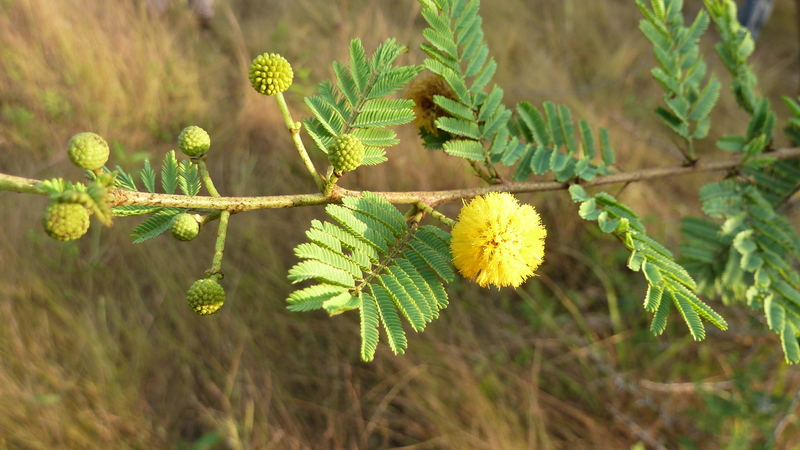 Even on a long day out on safari drives, there is usually some opportunity to look for flowers. 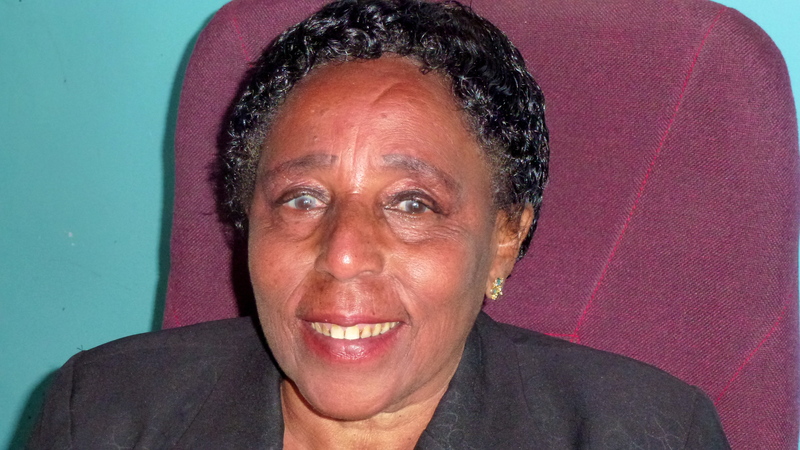 There comes a time when legs must be stretched – a time when ladies disappear off to the left and men to the right! 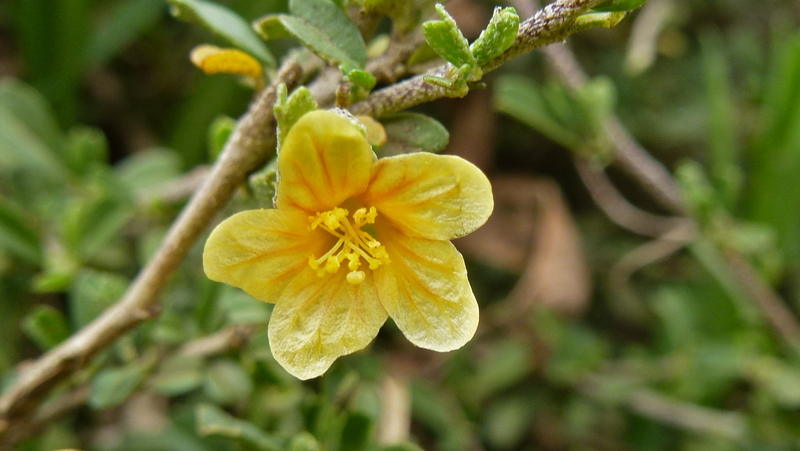 And that gave me the perfect opportunity to hunt around for a flowering plant or two. I’m not sure what these are called but here they are. Leave a comment Posted in Africa, For Armchair Travellers, Musings in Africa Tagged "Lake Naivasha", "Lake Nakuru", African acacias", Aids, camping, Gilgil, Ibis, Kenya, Lake Nakuru National Park", Marabou storks", orphans, pelicans, Rift Valley", Saidia Orphanage"
This, in part, is no doubt the reason why there was no butter at breakfast this morning! Maybe I should have asked for margarine? Nonetheless there was plenty to eat if only two cereals (corn flakes or Vita Brits), a couple of hot dishes (I never have a cooked breakfast), two kinds of fruit juice (mango or orange), slices of watermelon, honey dew and rock melon, brown and white bread and a couple of ‘Danish pastries’, to choose from. Who needs more! I’ve had time and the inclination to look around the grounds with a little better realisation of what I’m seeing this morning. There are a number of tall eucalypts, casuarinas and Silky oaks along with palms, Bauhinia and Bougainvillea, Monstera, Hibiscus and some other tropical plants I recognise but don’t remember their names. There is a decent sized swimming pool but as the temperature is only expected to get to 17 degrees today, I’ll give that volume of cold water a wide berth. Apart from the Maribou storks I saw yesterday, there are quite a number of other birds around this leafy part of Nairobi. Most frequent are the grey/buff chested crows/ravens. They caw just like their relatives all over the world. There are whistling kites, some ducks and numerous small birds that quickly flit through the foliage, that fast it is impossible to know what they even resemble. There is a TV in my room but I haven’t bothered turning it on. 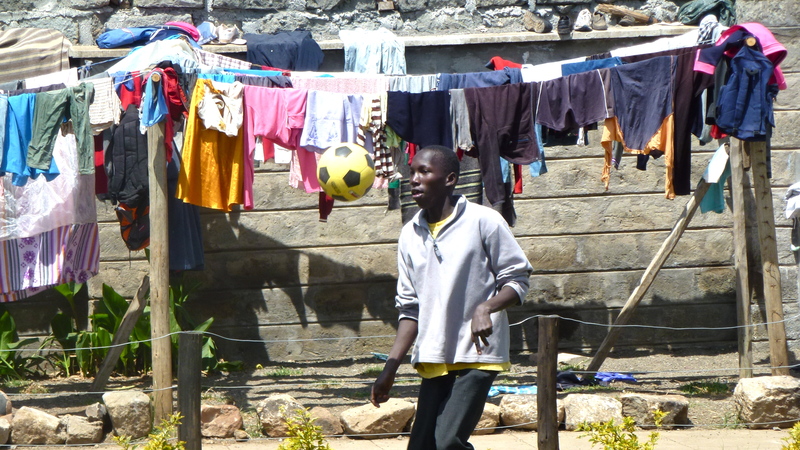 Of course, there is no mini bar, toiletries, except a small cake of soap, no extra blankets or tea making facilities. I’ve done my washing and half sorted and repacked my bags. It is not far off lunchtime.